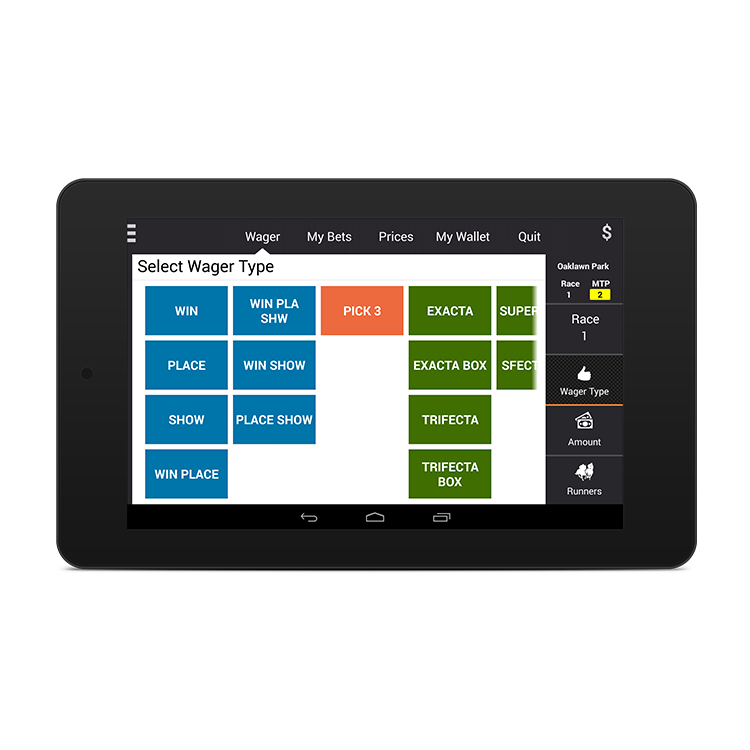 The Sportech Tablet combines all the features of Sportech’s Tiny TIM wagering terminals with the privacy, mobility, and convenience of a personal tablet computer. 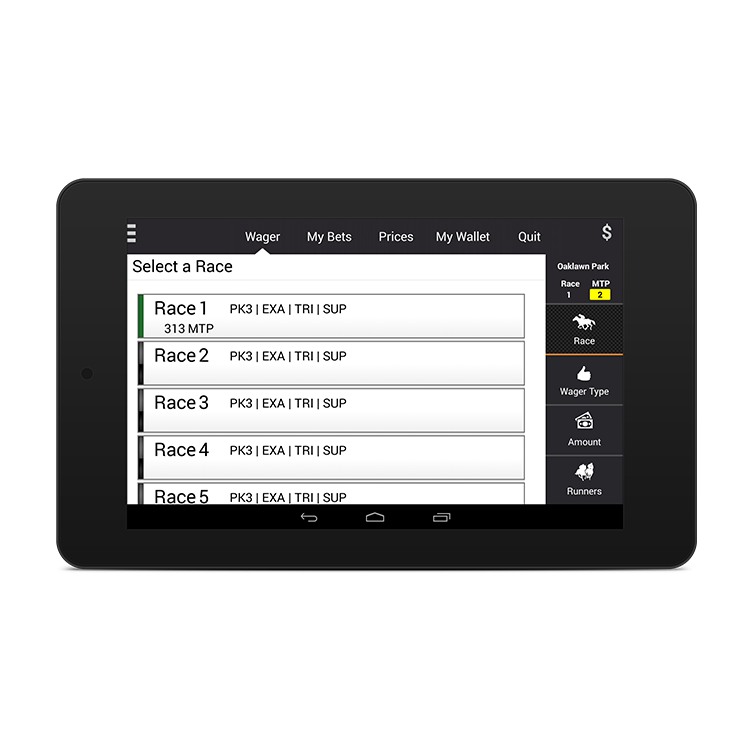 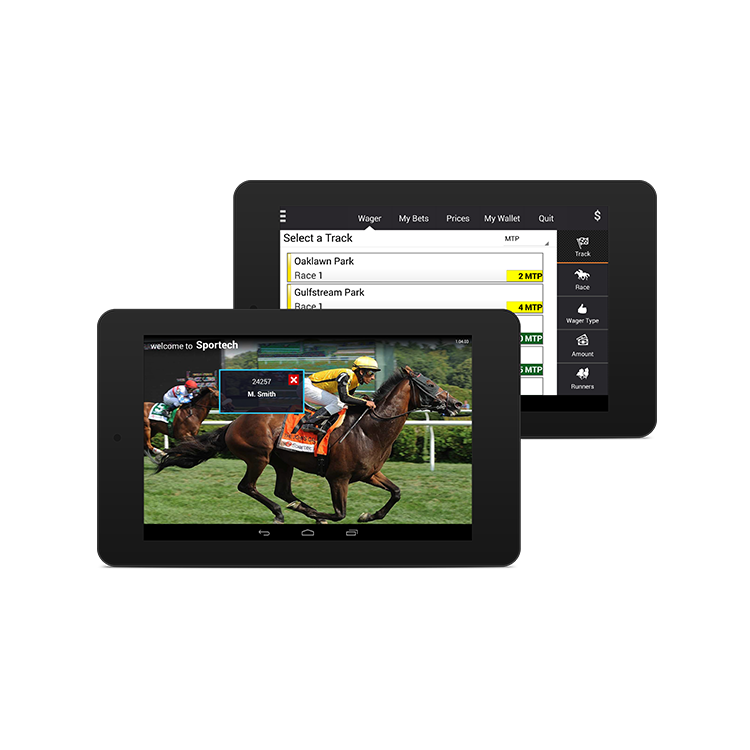 We took off-the-shelf tablet hardware and added our newest digital user interface, based on our cutting-edge Digital Link™ suite to create a mobile wagering device that’s easy and fun to use. 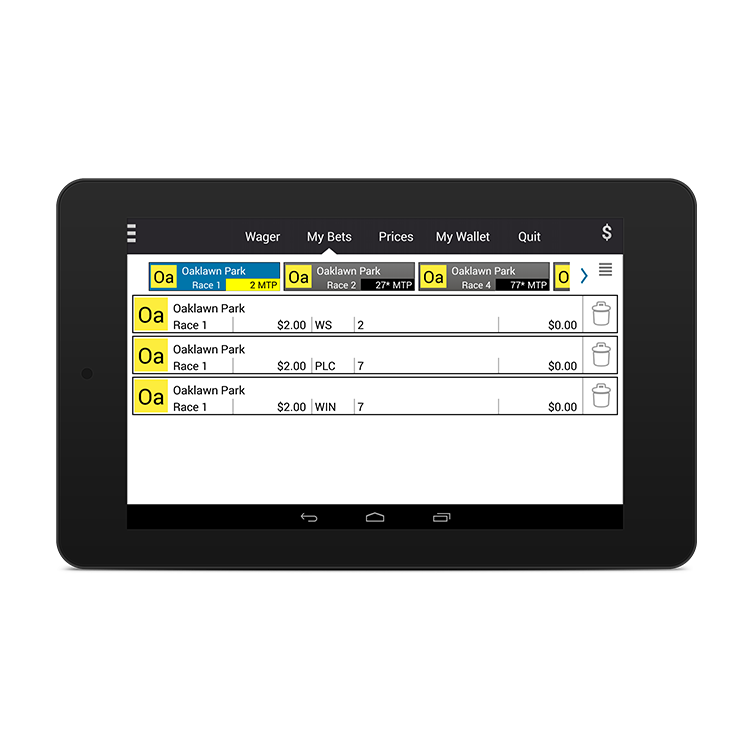 If you’re interested in Sportech Tablet for your business, contact a sales representative.